Wow! 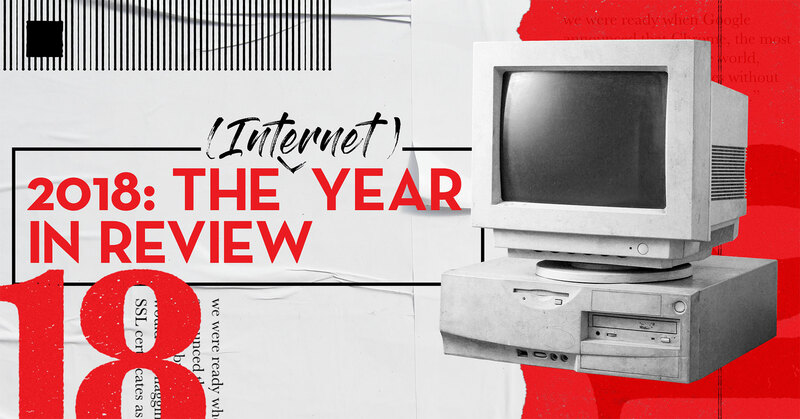 2018 was a really big year for the internet in general. A lot of pretty big things happened, changing both how we help our clients and how our clients help their customers. One thing we learned from this year, though, is that Oozle Media can handle anything. Here’s a little recap of some of the biggest changes this year on the Internet. Google Ads (formerly Google AdWords) is a platform used by millions to advertise their products and services online. That means thousands of competing agencies, many of whom are unqualified and mismanage accounts. Enter Google Partners: Pay-Per-Click providers that have passed Google Ads product certification exams and have proved their mettle in PPC. A very elite number of PPC companies, though, will become Premier Google Partners – we’re talking only 3% of partner agencies. These are agencies that have at least two certified individuals, engage in best practices, and have high levels of spend. Agencies in this tier get access to a dedicated support team, early access to beta products, personalized account advice, and more. This year, we’re pleased to say that Oozle is a Premier Google Partner! This is good news for us, for our customers, and for anyone looking for a qualified PPC team. These tiers of partnerships give you assurance that your PPC provider will be the best of the best. We are proud of the hard work we’ve put into providing top tier service to our clients. 2019 New Year’s Resolution: We’re going to continue to be one of Google Ad’s top-performing Premier Partners and build on our clients’ year-over-year success. Remember when Google Chrome released an update that changed our expectations of which sites need SSLs forever? Oozle Media does! We’d already been through the gauntlet in 2017, when we learned that Google Ads would begin to disapprove any pages with insecure forms. We updated all of our PPC landing pages to include SSLs in preparation. As a result, we were ready when Google announced that Chrome, the most popular browser in the world, would start flagging sites without SSL certificates as “insecure.” Oozle Media spent a couple of months before the update hit in July helping our clients get SSLs installed. The payoff? Our clients were ahead of the curve in putting their best, and most secure, foot forward with their users. 2019 New Year’s Resolution: To make sure that not only do all of our clients have SSLs, but that they also follow best practices for site security. 2018 was the year of the smart phone! Long gone are the days when you could expect most of your users to be on a desktop or even a laptop – nowadays, more than half of a website’s traffic is going to come from mobile phones. In response, Google introduced “mobile-first indexing”, a change in the search algorithm that prioritizes the mobile version of a website over the desktop version. You can read more about it at moz.com. Who’s affected? Well, as it turns out, not Oozle Media – we were already providing responsive websites, so we didn’t actually need to change anything. This is the year that Google introduced a new search console for SEO professionals (and hobbyists). This was a huge deal for our clients. Up to this point, we’ve only been able to provide 90 days of performance data to our clients, and we had limited functionality. Not great! Now, with this update, not only can we can provide 16 months worth of historical data, we can also download it. This allows us to provide better year-over-year data, which also allows us to fine-tune our strategies for our clients (and ourselves). On August 1, Google launched a “broad core algorithm update” that promised to improve search results. Now that Google has stopped naming their updates, the SEO community has been left to do it. Why “Medic”? Because the algorithm update disproportionately affected health sites, including dentists. That could have been a huge problem for Oozle Media, since so many of our clients are in the dental industry. And yes, we did see a drop for some of our clients when this update was released. However, our drops weren’t near the “game over” mentality that many other SEO professionals were claiming, and almost everyone recovered by October. Still, though, this sort of update can be a huge game-changer, and we still have work to do. 2019 New Year’s Resolution: We’ll work to correct authorship quality and expertise, Authority and Trust (EAT) factors, and trim and revamp old, irrelevant, or thin blogs from our client sites. Oh, where to even start here? Gutenberg is an update for WordPress that dramatically changes how we add content to pages and posts. It’s meant to be similar to popular page builders, like Elementor or Beaver Builder, and more simple than the WordPress WYSIWYG (“What You See Is What You Get”) editor. 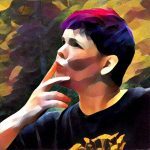 Unfortunately for WordPress and the development team that worked on this project for more than a year, so far users have responded negatively to the new editor. As you can see from reviews on the Gutenberg plugin from WordPress, and it simply isn’t going over well with the community. The majority of reviews are 1-star, with complaints ranging from “not user friendly” to “awful plugin”. Yikes! As a result, WordPress was forced to push the launch date for WordPress 5.0, which contains Gutenberg as a core plugin, several times. To be fair, Gutenberg isn’t nearly as bad as a lot of these reviews are saying… however, it’s still a huge change from their classic editor, and a lot of people aren’t happy. Oozle Media is prepared for the update, as are any client sites that we built. 2019 New Year’s Resolution: Oozle Media is keeping an eye on this new editor, and vows to either train our clients (and content writers) on using it, or disable it entirely on our client sites. Who could forget the Cambridge Analytica scandal? For any of you with fuzzy memories, the short version is that Cambridge Analytica (illegally) gathered a ton of info from Facebook profiles, then (illegally) sold that data to Russians, who then used it to (illegally) influence the 2016 election. Someone at CA leaked the info to the public, who quite understandably panicked. It also led to basically the most memorable Congressional hearing ever, featuring the definitely-not-a-robot Facebook CEO, Mark Zuckerberg. How did this affect internet marketing? Well, Facebook removed a lot of targeting options from companies writing ads on Facebook. The result was marketing companies scrambling to find out why their ads were no longer converting, since their shotgun approach to ad targeting stopped working and they couldn’t immediately tell why. Without a well-communicated target strategy, any moves to overcome the loss of these targeting options are not communicated, explained, or understood well enough to translate it from client to client. No marketing company was unaffected by the change, but Oozle Media actually made out all right, thanks to best practices efforts that we already use. For starters, we focus on telling the right story to the right people. We don’t use sales pitches in our ads. We target broader audiences with low-barrier, engaging stories, which builds an audience across the platform. This, in turn, reduces our reliance on those targeting options. In addition to that, we have a well-communicated strategy across all of our teams, which means we could avoid any skeletons in the closet with our targeting strategy. Bottom line: Doing social ads the Oozle way meant that Cambridge Analytica affected us much less than everyone else. 2019 New Year’s Resolution: To partner with other channels, like PPC, for more consistent messaging and tackle cross-channel attribution & reporting! In plain English: If you have any file or database with a person’s name or ID on it (anything that can identify them within a larger group), you need to protect it. It also needs to be kept accurate and up-to-date, restricted to the minimum needed to accomplish your goals, and transparent about how it’s going to be used. That last little bit there feeds into the next major thing you have to fulfill on with the GDPR. You must acquire consent to gather data before you can accept any. 2019 New Year’s Resolution: We will continue to work with clients to secure their user data, obtain consent on forms, and provide info on client sites regarding tracking pixels or other data usage. Net Neutrality was a recent term of a very long-standing principle that all data on the internet should be treated equally. In other words, whether you’re streaming video or playing a game, your bandwidth is just bandwidth. At various points since the early 1990s, this has been called the “dumb pipe” or “dumb network”, and the “open internet”. This existed to protect users and companies alike from having their bandwidth “favored” or throttled by an internet provider. For example, you might prefer Netflix, but Comcast might prefer their own streaming service, Hulu. None of us wants Comcast throttling our Netflix access while allowing Hulu streamers to have faster bandwidth, right? There’s quite a long history behind this particular issue, but to summarize, the FCC agreed with that sentiment back in 2015. However, it rolled back that decision in 2018, with the new rules taking effect on June 11 of this year. Tech companies like Google and Facebook opposed the rollback, while internet providers like Comcast and AT&T supported it. What does it all mean? We’re not quite sure yet. It definitely means that the internet is not considered a public good (a utility, like power or phone), and some of our small business clients might find themselves competing with larger, more established business. On the other hand, it might mean nothing at all. After all, net neutrality wasn’t legally protected until 2015, and (previously small) companies like YouTube and Netflix still became some of the biggest media monsters on the planet. 2019 New Year’s Resolution: We’re not expecting anything major to happen in the next year, but we’ll definitely be watching the news to see if anything affects our business in the future. Well, it’s been a pretty big year for the Internet in general. We’ve barely even scraped the surface of all the big changes that are happening in 2018. We expect that 2019 will bring even more new and exciting things. Our commitment to our clients will always be to stay alert and be on the watch for the Next Big Thing in internet marketing.